Workflow charts are really vital when you are about to start a project. Also known as flow chart templates, these charts will enable you to present the pending project or task in a much simpler way through a break-up of steps needed to complete it. Apart from new project management, workflow charts cover a wide variety of applications- process documentation, data management, modeling business process, workflow management, auditing process, mapping of computer algorithms as well as chemical and process engineering. 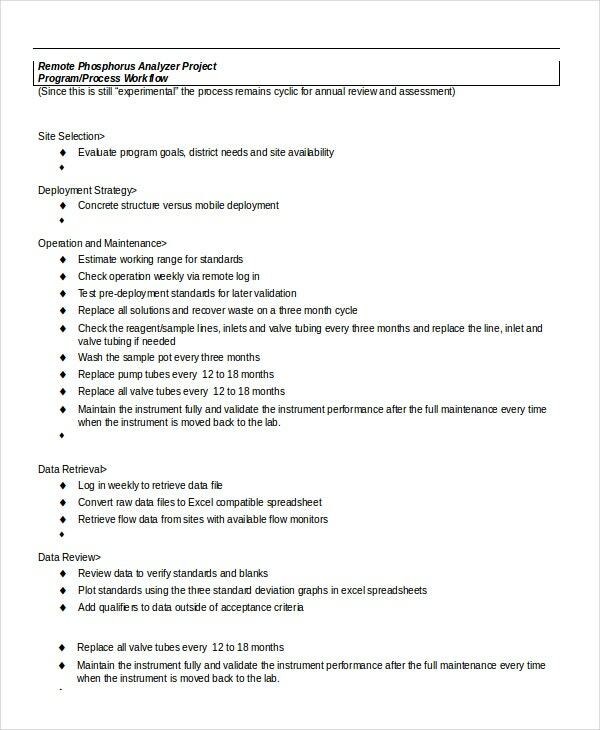 This workflow capacity planning template is a comprehensive booklet that comes with all the important chapters related to workflow planning- like workload, test definitions, dataset, test results, hardware recommendations etc. If you are looking for an extensive workflow template word that will allow you to explain all the work processes in brief and neat bullets, this process workflow Word template here is just the thing you need. 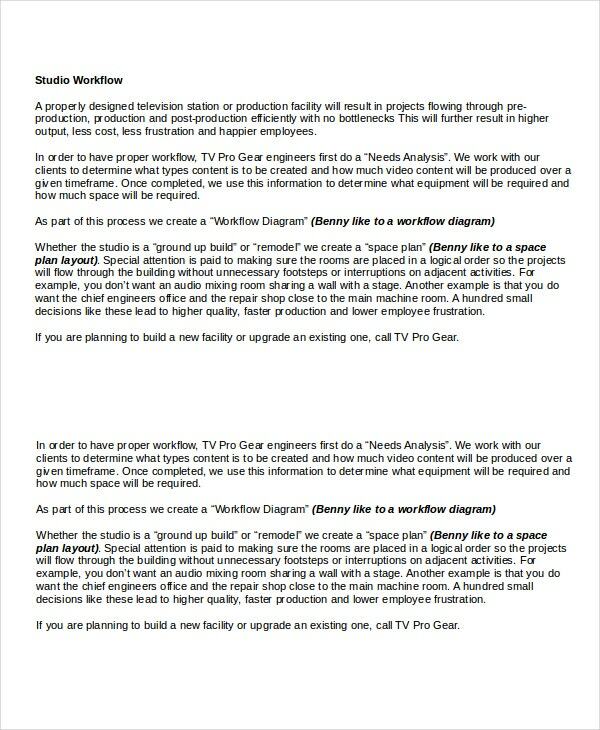 Creating a workflow demands a lot of groundwork and if you need ideas on how to proceed with that, this studio workflow template word would be handy with its detailed discussions on making up a workflow. 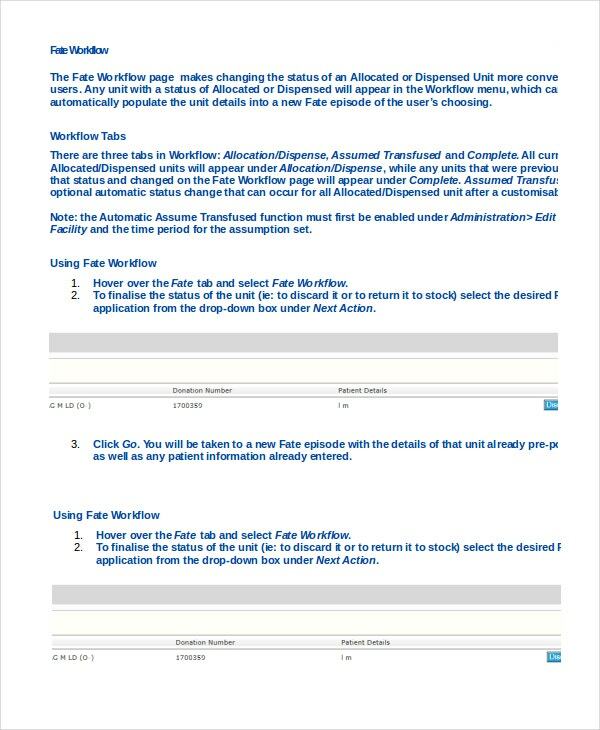 This Blood Net Fate workflow template shows you a complete picture of the 3 workflow tabs- Allocation/Dispense, Assumed transfused as well as Complete. You will be getting step by step instructions on how to use Fate Workflow. 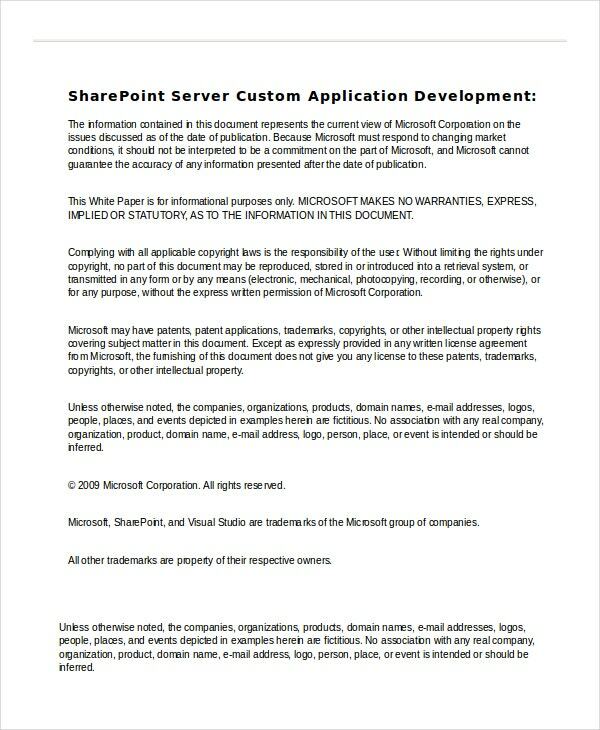 This document here is a review of successful MCS design, build-up and execution of custom SharePoint Server application for mid-market enterprise end users. The insights shared are derived from real-life experiences. > What is the Purpose of Workflow Template Word? The main purpose of workflow template word is to present a visual graph of the different process or steps that are needed to be taken to complete a task or project. Easy visualization always helps in the quicker understanding of the works lying ahead which means better efficiency and stronger productivity. Moreover, as the workflow charts break up the whole process and mention all the steps in order, right from the start to the finish, it becomes more convenient to fathom which step will come after what. Another purpose of workflow templates is to save you from the hard work of creating an free chart template from scratch with its ready made design. > Who Needs to use Workflow Template Word? 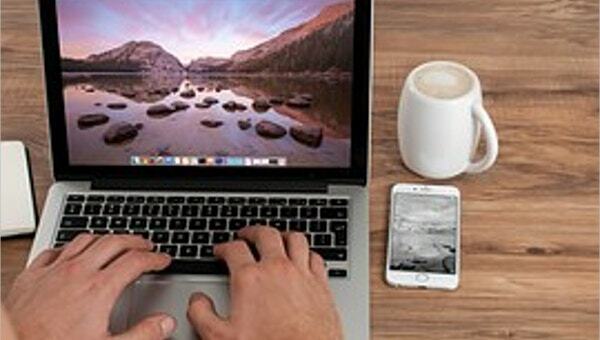 Anybody who is looking to create a better understanding of the steps to be fulfilled while completing a project would need to use a workflow template word. Thus, these are mostly used in corporate structures by project managers and team leaders. Both large and small businesses benefit a lot from the process flowchart templates. Then sometimes, the training materials too are imparted through a workflow structure to ensure faster understanding of the lessons. Hence, the smart trainers use the workflow templates these days. Moreover, chemical and process engineers, as well as data management professionals work with workflow charts a lot. > What are the Benefits of Workflow Template Word? The main benefit of workflow template word is that it assures a clearer and easier understanding of the works to be done- step by step- to complete a certain project or to reach a certain goal. A lengthy process can look overwhelming if presented as a whole and the break-up makes it much simpler and more convenient to grasp. The visual aspect of the chart plays a crucial role here as the human mind is able to derive data faster from a pictorial or graphical representation rather than from long paragraphs of text. Finally, the chart also helps to check whether there is any need of modification or improvement in the steps. 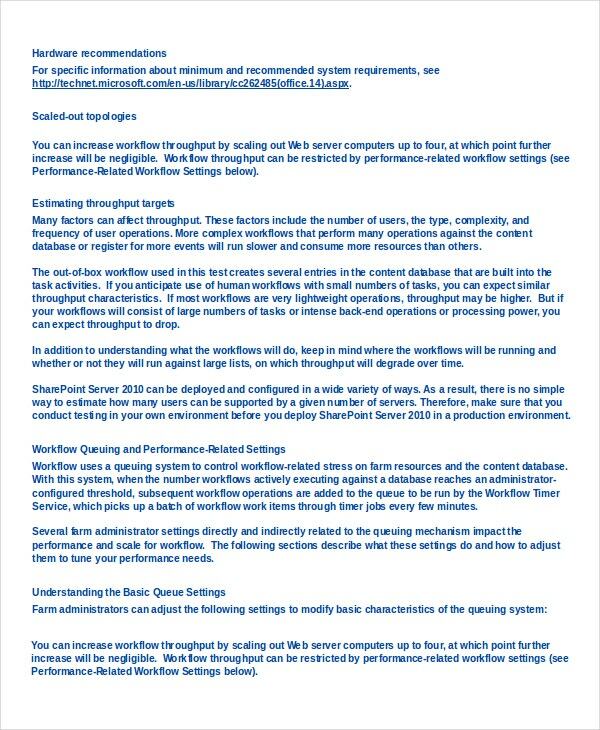 The templates mentioned above would be really handy when you are creating a workflow chart for the first time and need ideas on how to create one. All the templates mentioned come up with pre-designed workflow charts which you can just download and customize with your own workflow specifics.